President Mnangagwa has spoken of the need to undertake an exhaustive disaster mapping throughout Zimbabwe. The damage and loss caused by Cyclone Idai hasn't only shredded hearts, but also exposed cancerous weaknesses in the country's disaster response strategy, hence the President seeking a much finer understanding of the risk scenarios. In a statement last week, President Mnangagwa committed to revamping the national disaster management plan, hoping to help make Zimbabwe better prepared to tackle any climate-related extreme events in the future. He also promised to create a national disaster fund to bankroll future disaster situations, even though its not yet clear how that fund will be capitalised. "In all these measures, Government will proceed by way of broad consultations at all levels and with all citizens to ensure there is consensus," President Mnangagwa detailed, in an address at State House on March 21. Against the scale of damage from Idai, President Mnangagwa's plan is sound. Disaster response at the Civil Protection Unit (CPU) level is almost non-existent. And it's not their fault, it is the Government's, which neglects to fund the CPU at necessary scale in line with the demands of harsher climates, which promise to spew disasters of Idai's magnitude, or worse, at will. Under-funding affects response not only during disaster, but also the aftermath. Sometimes blame has been laid on meteorologists for failing to provide adequate early warning information relating to a climate event, which might degenerate into a disaster. But that cannot be said of Cyclone Idai. The Meteorological Services Department issued repeat warnings about the threat posed by Idai long before disaster struck. 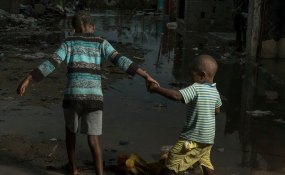 If that was not enough, there was neighbouring Mozambique for guidance, the storm had ripped through large parts of the coastal nation causing untold suffering and death. We now know Idai was handled very badly by the CPU pre-disaster -- apportioning blame on the department only on account that it is the one directly tasked with such a mandate, otherwise a multi-sectoral approach would be most appropriate. Harare-based disaster management expert Simon Bere has previously spoken to The Herald Business on some of the steps that needs to be taken to minimise damage before, during and after a disaster. Bere posits that Zimbabwe's response challenges are more "strategic" than they are "technical." By strategic he means a national incapacity to implement effective solutions; and technical, the presence of a skilled human resources base that will not struggle designing the necessary strategies. "The most important part is disaster prevention, which is a strategic response," Bere has stated in a past interview. "Effective disaster management has specific protocols for responding to disasters which determine specific routines to be activated as soon as disaster is declared." He continued: "These protocols include specific performance standards to be adhered to. Then there must also be periodic mock drills to test effectiveness of responses to specific disasters. Disaster preparedness begins with a potential list of all potential disasters and their potential impacts and what targets would be vulnerable." Most of these aspects do not exist in Zimbabwe's disaster response, Bere claims, if they do, then they have been ignored. But there are other factors that determine the success of disaster response, such as access to early warnings, as indicated above, and individual reaction and /or view of the warnings. President Mnangagwa pointed to spatial mapping of disaster zones. This is crucial. That way, "agents that cause each disaster are known and must be monitored to prevent the disaster or minimise impacts in the event of an occurrence," according to Dr Terrence Mushore, a climate expert with the University of Zimbabwe. Then there are also issues of dealing with victims psychologically and materially to restore normalcy during and after the disaster. Disasters are terrible for everyone, particularly to those directly affected by them. Idai has refreshed our memories to the dangers that humanity faces from global warming and climate change, if we don't do anything to reverse the damage now. Hopefully, it has also reminded authorities of their responsibilities to keep citizens safe. They look like they had quickly moved on after Cyclone Eline, a disaster from which nothing was learnt.